Help kids discover their strengths, interests, aspirations, learning styles and character strengths. 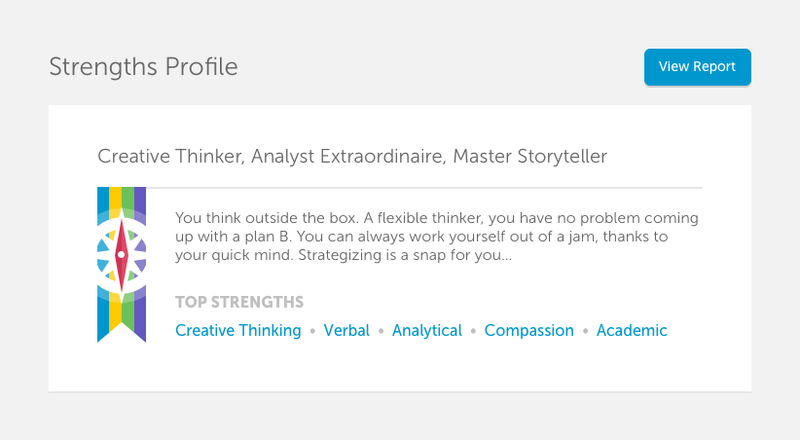 Discover students' strengths and interests with our proprietary 30-min assessment taken by more than 300k students! 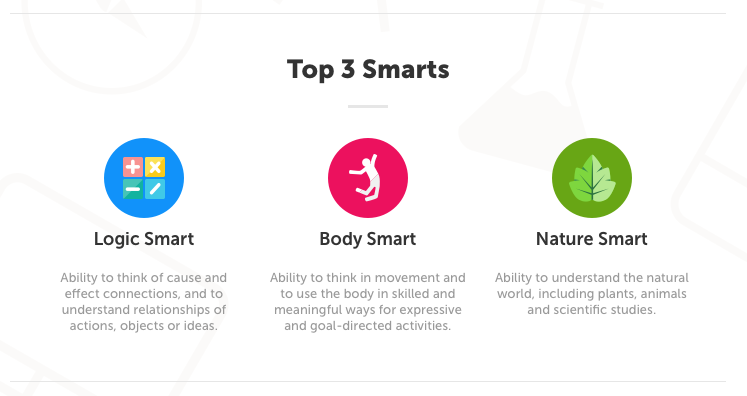 Identify each student's dominant learning styles with our Multiple Intelligences assessment. Nurture self-aware students who own and celebrate their journey towards becoming innovative global citizens. 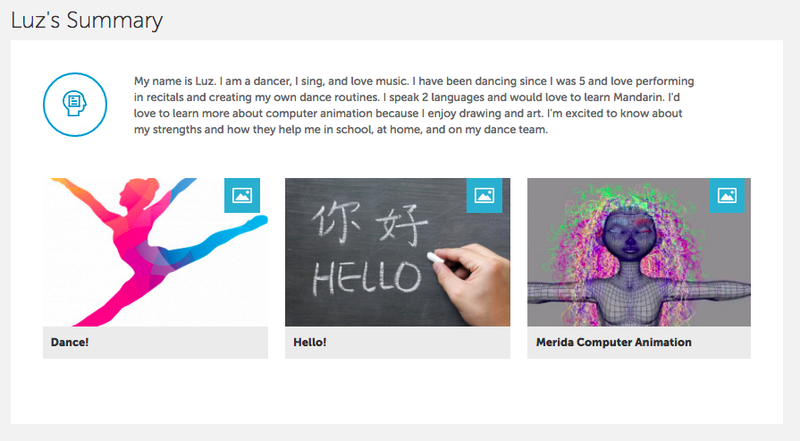 Capture a student's entire learning journey with our easy-to-use digital portfolios. Show every student how to achieve both academic and personal success by creating and tracking goals. 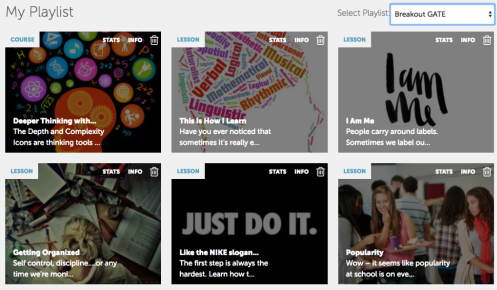 Review every student's learning moments, as expressed in video, audio and text journal entries. Help students build a vision for their future based on their strengths, interests and aspirations. 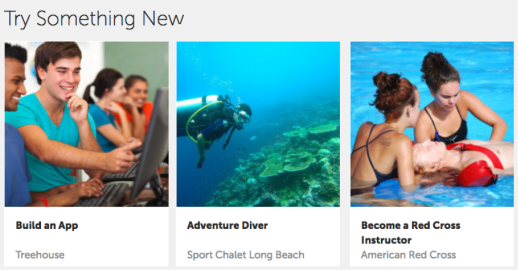 Help students explore potential career paths with inspirational videos and relevant activities. Inspire your students to participate in thousands of local after school programs, camps and events - based on their individual strengths and interests. Ignite your student's curiosity with online resources that connect learning to specific interests. 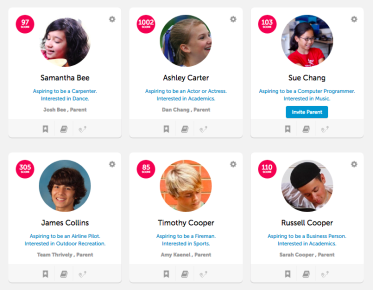 Unlock the world's largest database of career information based on your students' unique interest profiles. Solve real-world problems, collaborate with other students and gain hands-on experience through project-based learning. 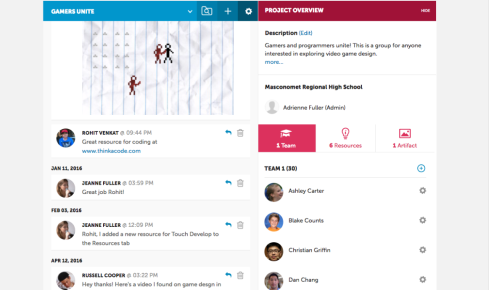 Create student teams for design challenges, case studies and learning projects - facilitating collaboration, problem-solving and real-world connections. Generate student groups based on their strengths, interests and aspirations to make collaborative learning easier. 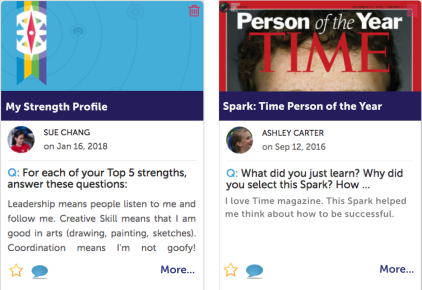 Energize your GATE, Social Emotional Learning, Career and College Readiness, STEM initiatives with curated lists of our most popular resources. 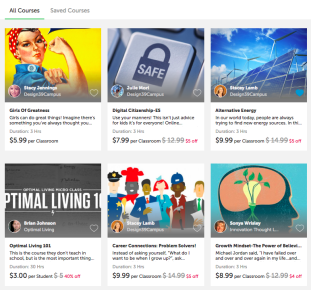 Allow your students to dive deeper into skills they need to develop, with online courses from Thrively partners. 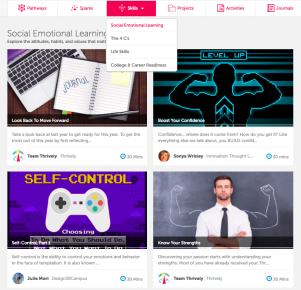 Invite classroom engagement by browsing our extensive library of online lessons, covering social emotional learning, the 4 C's (critical thinking, communication, collaboration, and creativity), life skills, college and career readiness and more. Increase the support of parents and caregivers along each student's Thrively learning journey. Share student portfolios, learning reflections, project artifacts and more to engage parents and increase parent participation. 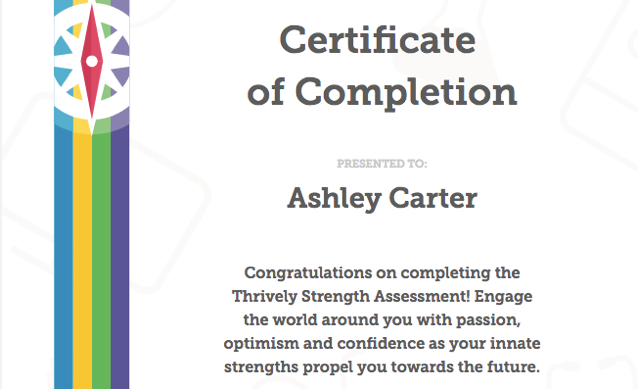 Show each parent a strengths-based portrait of their child with our compelling student Strength Certificates. Align our recommended extracuricular activities with students' strengths and interests. 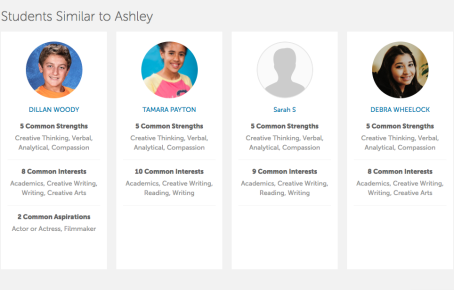 Personalize instruction, plan feature activities and more with detailed reports on your students' strengths, interests and aspirations. Get detailed reporting by school, grade level, and class section to enhance your instructional planning. 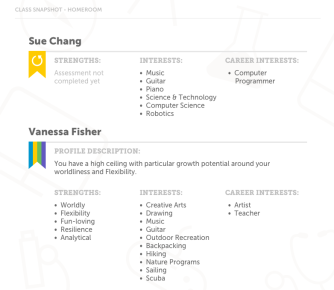 See your students' strengths, interests, and aspirations quickly with our at-a-glance Class Snapshot. 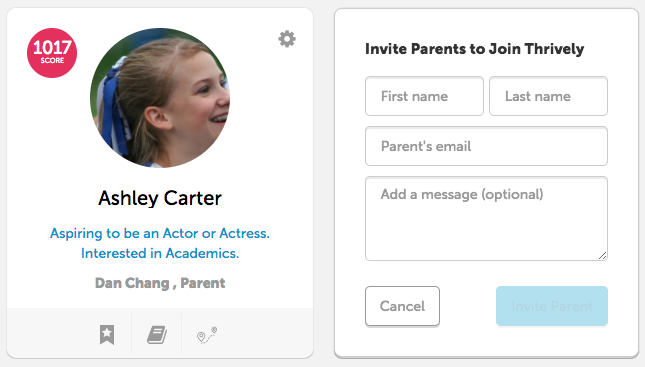 Setting up your classroom roster and facilitating student participation has never been easier. 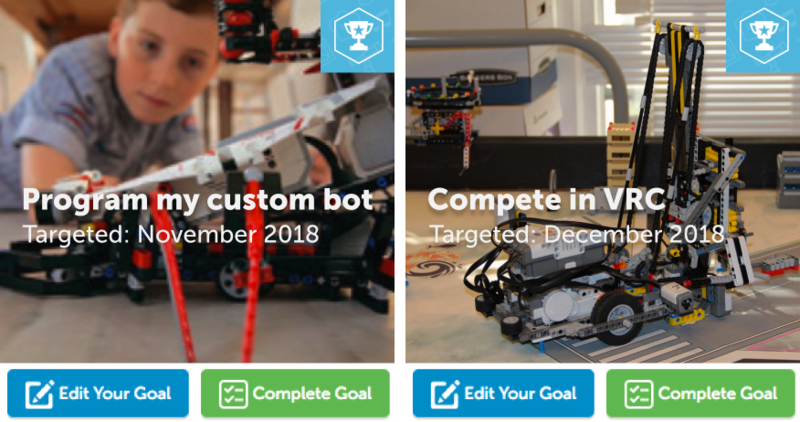 Watch your students become the empowered learners they are meant to be by tracking their learning journey using our visual dashboard. 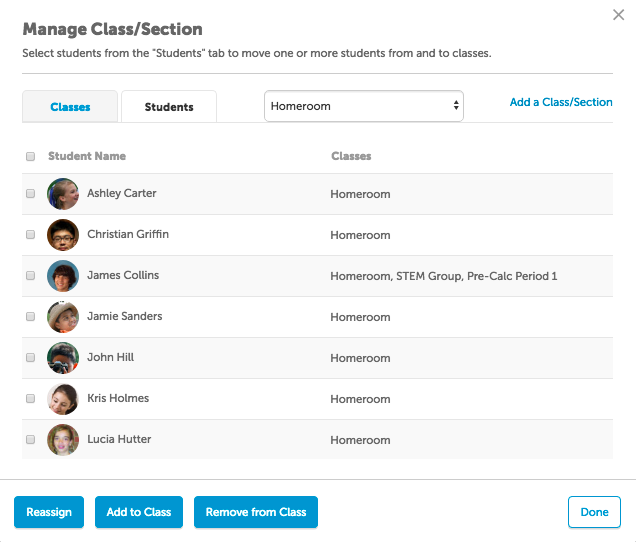 Easily manage your class rosters, create well-rounded project groups and update your information year after year. Hassle-free registration with Google Classroom, Microsoft, Schoology, Otus, etc. One of our favorite tools is Courses and Projects. Check out what this brings to your classroom.